We ended last month, on January 31st, with a Full Moon Lunar Eclipse at 11 degrees of Leo! This month, on February 15th, we will experience a New Moon Solar Eclipse at 27 degrees Aquarius! These eclipses will have an effect on us for several weeks to come, bringing changes, re-directions, endings and new beginnings as we move forward in this new energy of 2018! But, let us begin this article by looking at the numerology for the month of February. This second month of the year has a Universal Numerology Vibration of karmic number 13/4. The lower vibration of the 4 suggests that this will be a time of focus, work, effort, and building a solid foundation for ourselves. This month may contain earthly lessons of a 3rd-dimensional nature and challenges to where we will have to practice patience, fortitude, and determination. The Karmic Number 13 symbolizes the energies of death & rebirth, inner transformation, regeneration, and transmuting lower energies. It is about working through control issues, rigid thinking, laziness, and lack of responsibility in one’s life. Through persistence and slow, steady movement we are able to overcome the challenges that are imposed by this number. 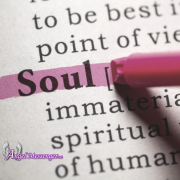 The first astrological energy of significance this month is Venus, ruler of relationships and finances, in Aquarius squares Jupiter, planet of expansion and our belief systems, in the sign of Scorpio on February 3rd-4th. Venus, ruler of the Divine Feminine, in the group-oriented, humanitarian sign Aquarius is experiencing the challenge of Jupiter’s growth factor in the sign that rules power and control. With the recent movement of “Me Too” that has swept across the country, and across the globe, this transit speaks to the energies of this situation in some way. This theme of sexual abuse, power, and control will most likely remain mainstream news during Jupiter’s transit through Scorpio until late fall 2018. We have the potential for experiencing some karmic redirection of energies on February 3rd, with the Sun squaring the North and South Nodes, and on February 9th as Mercury takes his turn in challenging these Karmic Destiny Points. The Sun will highlight a possible change in direction or circumstance and Mercury will, potentially, provide more information as to what this will mean for us as we move forward. On February 10th lovely Venus moves into creative, spiritual Pisces where she will be until March 6th. While in this sign she may turn her attention to more spiritual ways of creating abundance and prosperity, spending more time with groups of caring, nurturing women, and becoming more romantic in relationships, seeking the fantasy love that will sweep her off her feet. On February 13th it is Mercury the Messenger’s turn to challenge Jupiter in Scorpio. This can bring out some very strong opinions and judgments regarding energies of misuse of power and control in circumstances around us. The New Moon Solar Eclipse is on February 15th at 27 degrees Aquarius! Again, the fact that it is an eclipse will create a more intense energy of releasing, just prior to the eclipse, and the initiation of new beginnings for weeks after the eclipse takes place. This lunation is conjunct Mercury, planet of communication and ideas, square Jupiter, ruler of growth and expansion, and sextile Uranus, the Great Awakener. Between the Lunar Eclipse that we experienced the last day of January and this Solar Eclipse, we are going to see future change and redirection in our lives that is Divinely directed and guided. February 17th (although we will feel this on February 16th as well) is a busy day with Mars, planet of energy and action, in a challenging connection to Neptune, ruler of illusion and confusion….the Sun and Mercury coming together in the last degree of Aquarius….and shortly thereafter, Mercury moving into Pisces where he will be until March 6th. 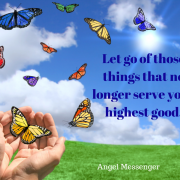 There is a great potential for a download of Higher Vibrational energies and communication, but also a possibility that actions of others will be misunderstood, a sense of confusion regarding our direction, and an increase in fatigue and well-being. As Mercury travels through Pisces until March 6th, we will have more creative ideas, psychic perceptions, and spiritual communications within ourselves, and with others. Between February 21st and 28th we have Venus and Mercury, both in Pisces, connecting with Neptune and challenging Mars in Sagittarius. 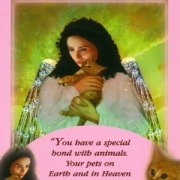 Communications with those that we care about, along with financial situations, may be strained, but if you stay in a place of faith and trust, and rooted in a space of unconditional love and compassion for one another, all can be worked out. It is worth mentioning that Jupiter is slowing down his movement and getting ready to turn to retrograde motion on March 8th. Although this will not technically take place until early next month we will start to feel his effects intensify as he stations at the 23rd degree of Scorpio. Jupiter is the planet of expansion, making energies “bigger” and with his travels through the intense, water sign that rules power, control, abuse, manipulation, transformation, regeneration, death & rebirth, we will surely start to feel this. You may have realized that we did not discuss a Full Moon for this month. This is because we had two Full Moon cycles in January, on the 1st and the 31st. The next Full Moon that we experience is actually on March 1st at 11 degrees Virgo which will start out next month’s Angelic Astrology Article. But, it is worth noting that as we move through the dark of the moon phase at the end of this month, it will be a time of spiritual releasing and letting go, as this Full Moon lunation will be very close to Neptune, ruler of the spiritual realm and unseen energies. 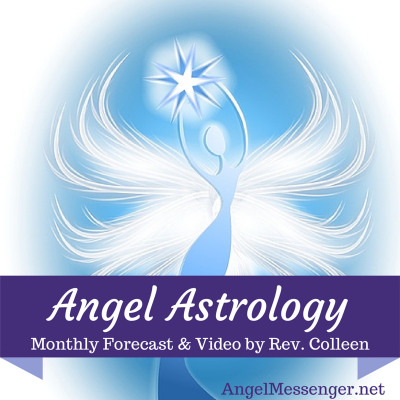 Please be sure to watch the Monthly Angel Card Reading Video for February 2018 below and watch my weekly readings on my YouTube channel, Angel Messenger website, or on my Facebook page to hear what messages our angels and guides share with us for the upcoming month! Many Blessings of Love and Light to You! 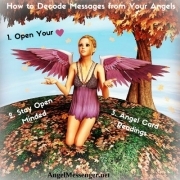 The cards used for the main message in this reading are from the Sirian Starseed Tarot by Patricia Cori and Alyssa Bartha. For the special messages, Rev. 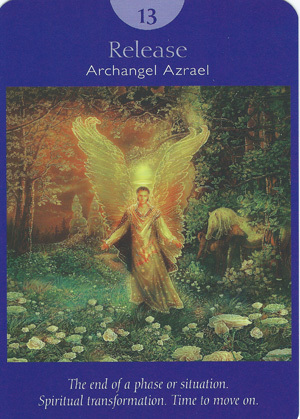 Colleen uses the Archangel Oracle Deck by Doreen Virtue.